Three daycare children, including 5-month-old baby, diagnosed with measles in Lod. Three children from the Chabad community in Lod were diagnosed with measles earlier this week, Kikar Hashabbat reported. According to the site, all of the children attend the same daycare, and two of them were completely unvaccinated. The third child, a five-month-old girl, is too young to receive the MMR vaccine which protects against measles. Dr. Yalena Kanevski, who works in the neighboring city of Ramla, wrote a letter to the Chabad community in Lod, warning them that she heard of several cases among both children and adults in the community and emphasizing that children who are ill with measles should never be sent to school. Kikar Hashabbat also noted that due to efforts by the health ministry and the wife of the community's rabbi, twenty-one families arrived at the Tipat Chalav (Mother and Child clinic) in Lod to make up missed vaccines. "After we were informed of the matter, we carried out an epidemiological investigation and contacted the Tipat Chalav requesting they take preventative steps," the Health Ministry said. 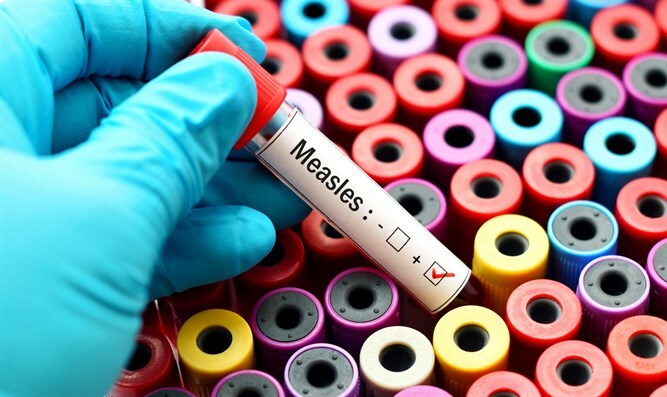 "Working with the neighborhood's rebbetzin (rabbi's wife), a letter was sent to residents explaining what measles is and encouraging those who were not vaccinated according to schedule to receive the missed vaccines. "In addition, letter containing guidelines for preventing measles in health facilities was sent to health clinics in the cities of Ramla and Lod.